This is the lightest bodied bourbon whiskey in the family of Jim Beam small batch bourbons produced by Beam Suntory. It is 80 proof, in contrast with its three sibling brands of higher alcohol concentration (Knob Creek, Booker's, and Baker's). 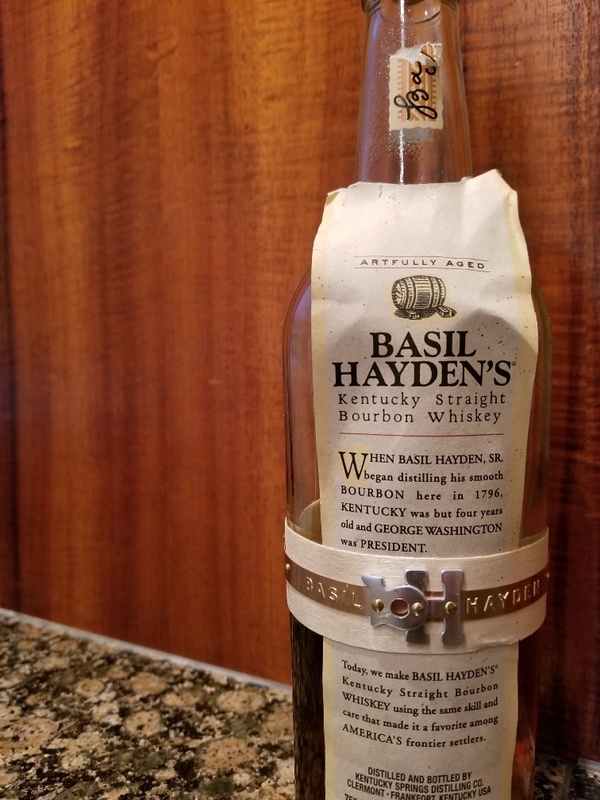 The Basil Hayden's bourbon brand was introduced in 1992 and is named in honor of Meredith Basil Hayden Sr. Hayden was a distiller, and he used a larger amount of rye in his mash than in some other bourbons. Later, Hayden's grandson Raymond B. Hayden founded a distillery in Nelson County and named his label "Old Grand-Dad", in honor of his grandfather, which bears a rendering of Basil Sr.'s likeness. 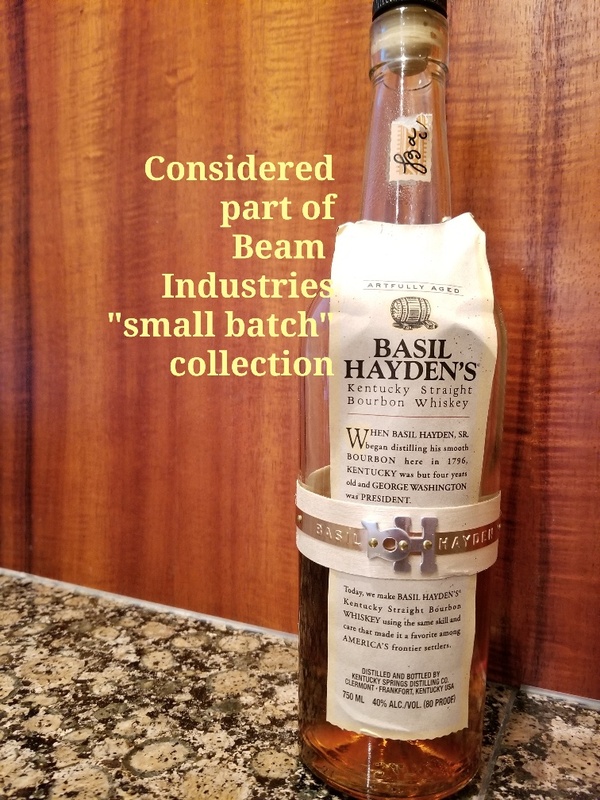 When Beam Industries introduced their "small batch" collection, among the four was "Basil Hayden's," which the company says uses a mash similar to that originally utilized by Hayden in 1792. The color is that of polished brass. The aroma is light and fruity with notes of spice, citrus, dark sweets and vanilla. Some hints of wood, blackberry licorice, new leather and root beer popsicles. The palate comes across with oak, caramel, vanilla and baking spices. Surprisingly, there is some minerality, leather and pepper pop up towards the end. The finish is short and oaky with light notes of leather, pepper and dark sweets. This bourbon has balance and medium body; this is a “softer” style. Elijah Craig was born in Orange County, Virginia, in 1738. 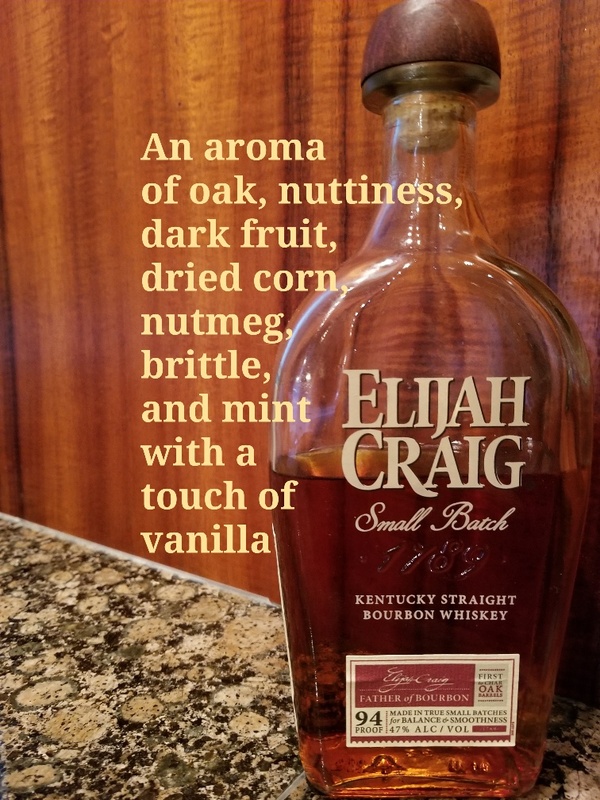 Even though he’ll be forever linked to the whiskey that bears his name, Craig was originally a Baptist preacher in the area that is now Kentucky. After a career of preaching, educating and service, for some reason he decided to open a distillery in 1789. Many historians believe that Craig invented bourbon when, on a whim, he decided to age his corn whiskey in charred oak barrels. 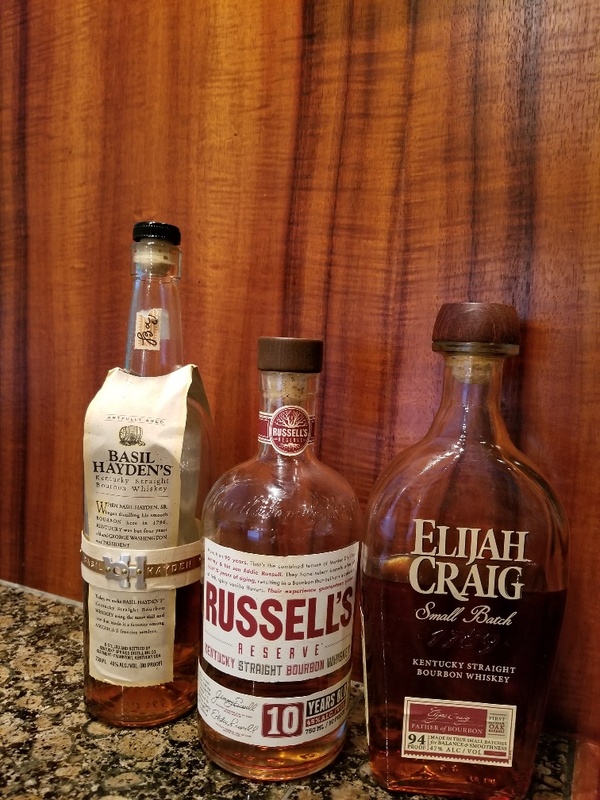 Although he probably would have liked his legacy being linked to his religious works, he will forever be known for the maturation process used by every bourbon maker to this day. This bourbon has a rich caramel color. It has smells of oak, nuttiness, dark fruit, dried corn, nutmeg, brittle and mint with a touch of vanilla. In the mouth you taste what you smell: oak and nuttiness along with dried corn, caramel, nutmeg, and a light bit of mint. The finish is long on the oak, dark fruit, nuts and nutmeg. Another balanced and medium bodied bourbon with a warm feel. The only living member on this list, Jimmy Russell is the elder statesman of the American whiskey industry. He’s been distilling at Wild Turkey for over sixty years without a thought of retirement. On top of his work at Wild Turkey, he and his son Eddie (who also works at Wild Turkey) make Russell’s Reserve. 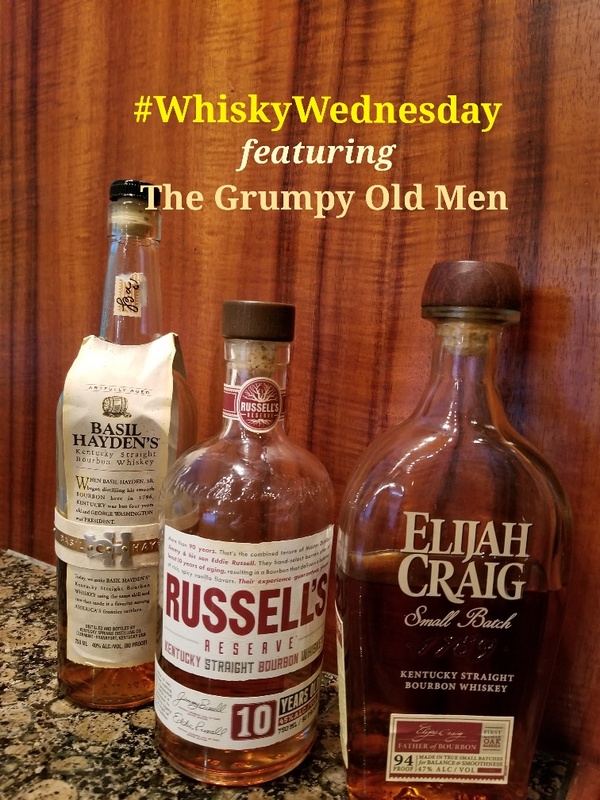 Often referred to as “the master distiller’s master distiller” and “the Buddha of bourbon,” Russell is involved in every aspect of production at Wild Turkey. 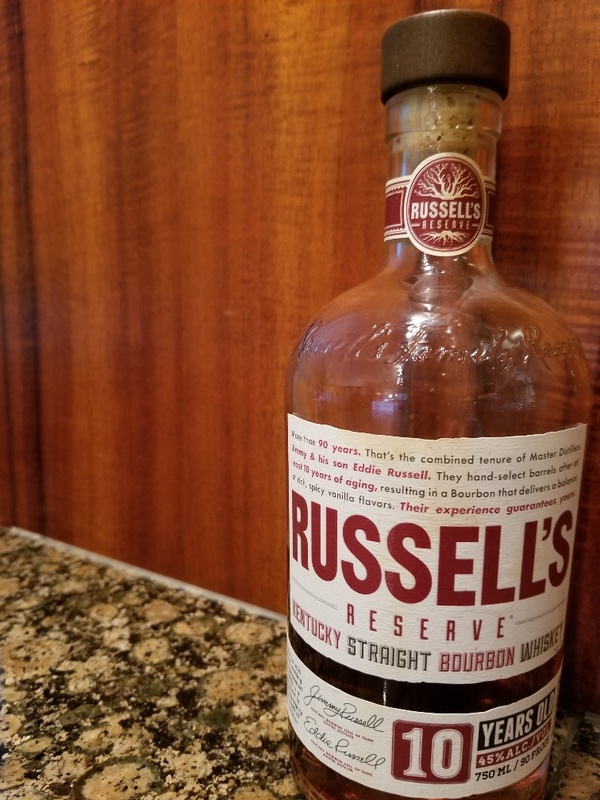 Russell's Reserve 10-Year-Old Bourbon has an aroma of cinnamon raisin bread, sweet vanilla and honey. The aroma gives way to notes of orange, cloves and oak, which are complemented by subtle undertones of maple and caramel. The finish is slightly warming, with a well-balanced complexity. This whiskey has a deep caramel color with hints of ruby. On the nose, is smells very sweet. 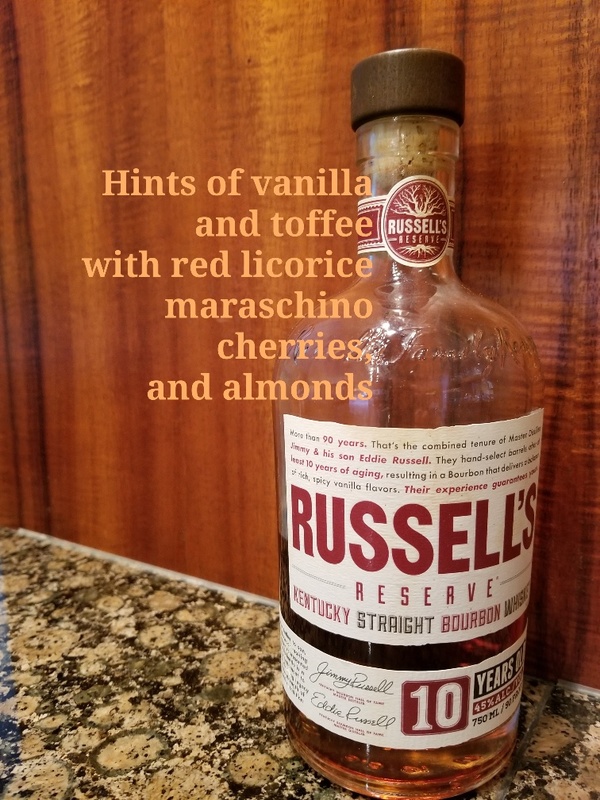 Initially you get hit with slightly medicinal vanilla and toffee, but as it opens up, you get hints of red licorice, maraschino cherries, and almonds or marzipan. This makes you want to kick your feet up by the fireplace in an old leather recliner and relax. You definitely taste toffee, vanilla, and spice. This is the classic American Bourbon flavor profile. Holding it on your tongue for a second or two, you start to get the corn and rye, along with pumpkin and apple pie spice. A lengthy finish with good body and a smooth texture. 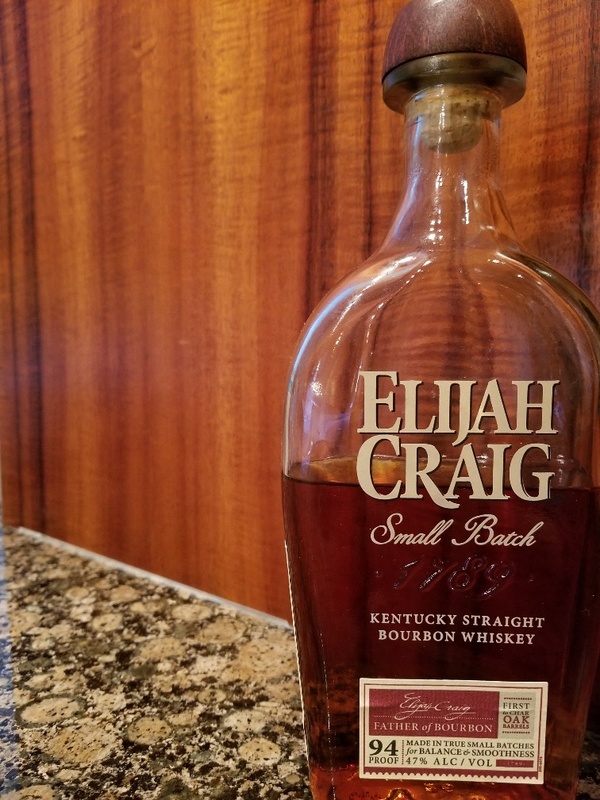 This is a robust and warming Bourbon that balances sweet and savory. Come in to try the “Grumpy Old Men” cocktail that is accompanied with a “topper” of garlic pepper beef chip! Or enjoy all three in an American Bourbon tasting flight!